Orbital Imaging Corporation's (ORBIMAGE) OrbView-4 imaging satellite is scheduled to be launched on Orbital Sciences Corporation's (NYSE: ORB) Taurus(R) rocket, on Friday, September 21, 2001. The available launch window extends from 11:49 a.m. to 12:07 p.m. (Pacific), with a targeted launch time for the mission of 11:50 a.m. This schedule is subject to final preparations and testing, as well as acceptable weather conditions at the Vandenberg Air Force Base, California launch site at the time of the mission. A live webcast of the launch will be available at http://www.orbimage.com beginning at 11:30 a.m. Pacific (2:30 p.m. Eastern). "The entire ORBIMAGE team, including our dedicated employees and loyal partners, has contributed to this momentous milestone," said Mr. Gilbert D. Rye, ORBIMAGE's Chief Executive Officer. "The launch tomorrow is our biggest single step to unveiling our worldwide high resolution and hyperspectral imagery service." On launch day, the Taurus rocket will be prepared for its mission during a four-hour countdown procedure. 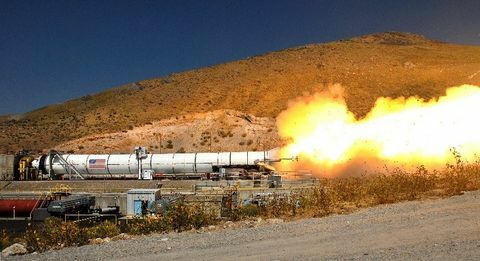 Following a final launch decision, the vehicle will ignite its first stage rocket motor, lift off and follow a pre-programmed launch sequence controlled by its onboard flight computer. Approximately 11 and a half minutes after liftoff, Taurus will deliver the OrbView-4 spacecraft into a Sun-synchronous orbit approximately 470 kilometers above the Earth. 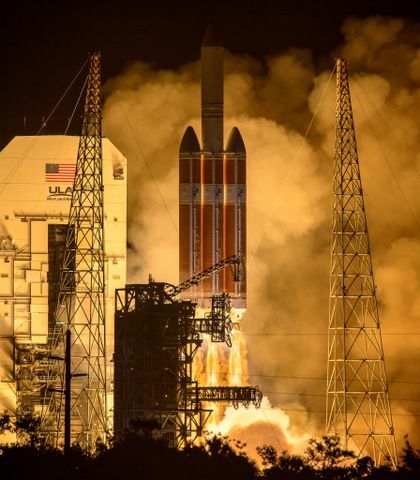 In addition, as a secondary payload the Taurus rocket will carry the QuikTOMS ozone mapping satellite that is being launched for NASA's Goddard Space Flight Center. OrbView-4 will be one of the world's first commercial satellites to provide high-resolution imagery from space. OrbView-4's high-resolution camera will acquire one-meter resolution panchromatic (black and white) and four-meter resolution multispectral (color) imagery. This imagery will be valuable to customers around the world for a wide-range of commercial, government and consumer applications. With the ability to image virtually anywhere in the world within three days, ORBIMAGE has established a global distribution network to produce and deliver basic imagery as well as high- resolution value-added products. In addition, OrbView-4 will be the world's first commercial satellite to collect hyperspectral imagery. Hyperspectral imagery will be useful for classifying material types on the Earth's surface, a capability that will be beneficial in agricultural management, mineral exploration and environmental monitoring. 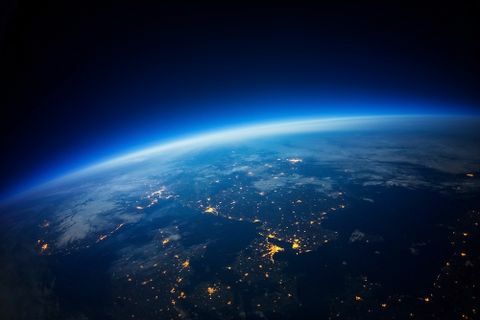 ORBIMAGE is a leading global provider of Earth imagery products and services, with a planned constellation of five digital remote sensing satellites. The company currently operates the OrbView-1 atmospheric imaging satellite (launched in 1995), the OrbView-2 ocean and land multispectral imaging satellite (launched in 1997), and a worldwide integrated image receiving, processing and distribution network. Currently under development, ORBIMAGE's OrbView-3 satellite will offer one-meter panchromatic and four- meter multispectral digital imagery, and is planned for launch in 2002. ORBIMAGE is also the U.S. distributor of imagery from the Canadian RADARSAT-2 satellite. ORBIMAGE currently offers one-meter high-resolution panchromatic imagery of major U.S. and international urban areas through its OrbView Cities catalog, available at http://www.orbimage.com . In addition, ORBIMAGE distributes imagery from SPOT Image, Canada's RADARSAT-1 satellite and Russia's SPIN-2 satellite. ORBIMAGE also offers the SeaStar Pro Fisheries Information Service, which provides fish finding maps derived from OrbView-2 satellite imagery of the world's oceans to fishing customers worldwide. More information about ORBIMAGE can be found at http://www.orbimage.com .